Dmb Ford Gel Badge Overlays? Just wondering if any one has used the DMB gel badge overlays on the new Mk 7 facelift fiesta, if so any good? 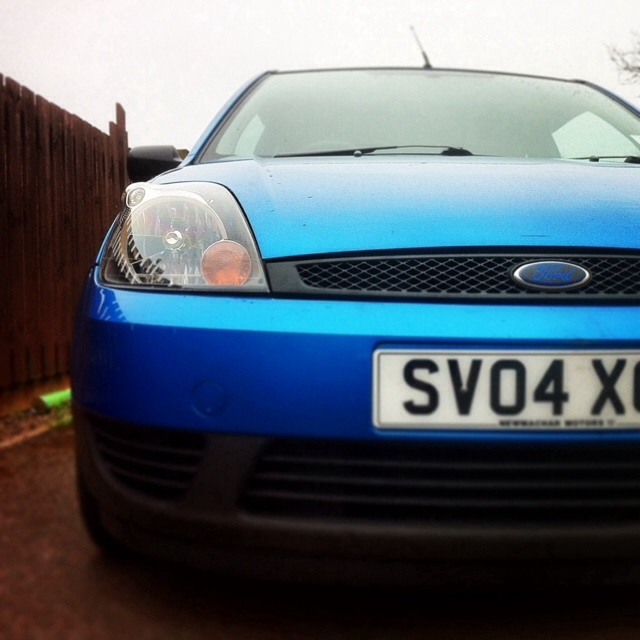 for example i've de-badged my car, so i got the rear overlay to say focus instead of ford. What's the recommendation on a white car? yeah they do look pretty sweet on the pre facelift models, defo think i will get myself some of them, that custom idea is quality! You can basically make whatever badge you want. Pink with yellow 'Ford' writing :o thanks! Highly recommended, I too have the carbon fibre chrome ones and they look really good on a black car. I did lose the front one, but the replacement seems to be holding on well, you need to make sure the surfaces are properly clean and you get enough heat on the adhesive. I put DMB's on my MK7 and think they look good. Trick I used was to give the original blue car badge a really good clean with an alcohol wipe dry it with a clean cloth and then not only heat up the stickers but also the badge on the car with a hair dryer. Put them on in November and have had no problem with them at all. Cheers for all the tips on application, will be getting some pics up next week gone with green writing on the black background! So you stick these over the top of the original blue badges ? Are they shaped or curved then ? Or do they simply flex over the existing badge ? I have just ordered some for my MK7 facelift and as they were not listed I contacted DMB direct and advised me to order the MK6 Standard ones as they would fit. I have been a bit different though and gone for some AUTOBOT ones with black background and red logo so should look the part on my red Zetec S.
For some stupid reason I want a Set now, but they need to match all round, anyone seen any that Cover both front, Back and the Wheels at all? can't see them on that DMB site? Need black and Red to suit the ST badges? Anyone comment on the Quality after a few washes, mway treks, Sahara desert excursions on the M25? hopefully they lasted people longer than a few weeks. 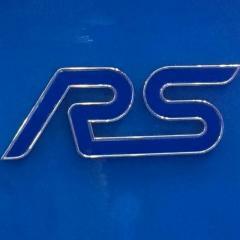 With effect from the end of June 2014, DMB Graphics Ltd will no longer supply any GEL badges which have the FORD script. This will not affect any of our other GEL badges. This only applies to the Badges that are applied to the Front or Rear of the car and the wheels. Custom items with other text, other symbols etc... will still be made. This does NOT affect any other of our licensed products. ONLY the Ford GEL badges. This decision has been made by Ford Motor Company and not by ourselves at DMB. Please inform everyone to BUY THEM NOW before they are gone. UPDATE: As Stock is running down very quickly some items/vehicle models/colours will disappear from the menus. NO custom orders/colours will be made for these items once they are gone from the menu system. Bit of heat and a good clean of the old badge and there done. Thanks To DMB Graphic For Hooking Me Up With Some Custom Centre Cap Overlays. 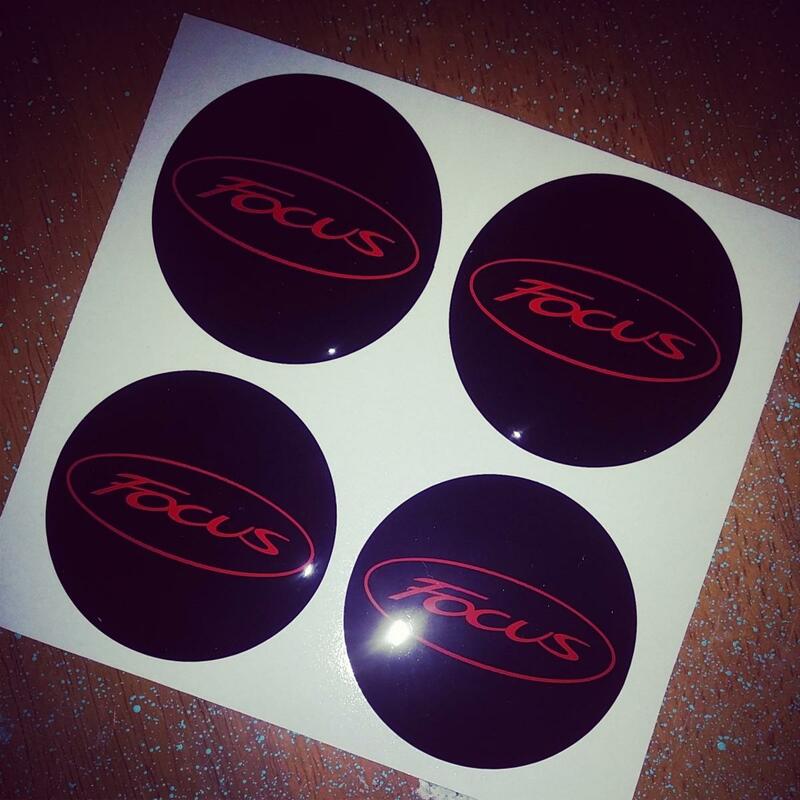 I want white ford overlay badges for my mk3 zetec s focus...DMB no longer sell them any idea or can someone give me a link to where I can get them? I've googled everywhere! DMB were officially licensed by Ford to produce them but I believe Ford withdrew the licence earlier this year... there may be stock floating about somewhere, have you tried eBay?